Fed up of trying to get rid of stubborn fat with diet and exercise? If the answer is yes, CoolSculpting may be for you. FDA approved, CoolSculpting is a safe and effective method of permanently eliminating unwanted fat. Physician-directed, it is a non-surgical procedure that freezes and eliminates fat from the belly, love handles, thighs and other troublesome areas. Smoother, brighter and younger-looking skin is not just a dream! The Fraxel Dual laser reduces age spots and fine lines associated with sun damage and ageing; it is also highly effective at treating acne scarring. Call us today for a free consultation to see if the Fraxel laser is right for you. SoftLift is like a face lift in a syringe. Using a combination of Botox and Juvederm our artistic physicians can restore a more youthful look to your face in just one visit. Beautiful results without any downtime. A revolutionary treatment for aging skin, Thermage uses powerful, focused radiofrequency to strengthen your collagen for a smoother, sleeker look that can take years off your appearance. With simple, gentle laser treatments, you can help prevent the visible signs of aging and address the overall dulling effects time and the environment can have on your skin. HydraFacial is an invigorating treatment that can be given in as little as 30 minutes. It delivers long-term skin health and can be tailored to meet the specific needs of all skin types. Sanders Medical, located in Vernon, BC (north of Kelowna), is a medically accredited facility specializing in comprehensive vein and cosmetic skin care. The College of Physicians and Surgeons has held us to a higher standard as a medical office. We have passed all of the requirements in order to maintain that. We are constantly updating our technology. We have state of the art equipment in all of our treatment rooms. We are always working to make sure we have the cutting edge equipment to do the best job possible. Sanders Medical, a medically accredited facility in Vernon, BC, is a comprehensive vein and aesthetics centre providing medical and cosmetic skin care services. We specialize in laser skin treatment, vein services and dermatological medical treatments. We approach each patient as unique, striving to provide the highest caliber of care and comfort. At Sanders Medical, we offer a full range of cosmetic treatment options to restore your youthful appearance. This is a General Practice Dermatology service (sometimes referred to as GP’s with a “special interest” in Dermatology). It is a referral-only service, meaning you must obtain a referral from another physician (family doctor or specialist) for a consultation. All medical Dermatology and phototherapy services are fully covered by Provincial health insurance. Based upon scientific research that shows cold can be applied non-invasively to remove fat, CoolSculpting targets fat cells at a temperature that causes them to naturally shrink and die without harming nerves or other tissue. Dr. Erin Sullivan graduated from the University of Limerick in Ireland in 2013. 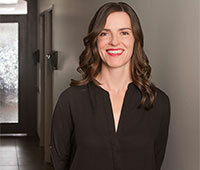 She returned to Canada to complete two residencies through the University of Saskatchewan, Rural Family Medicine and Enhanced Surgical Skills. 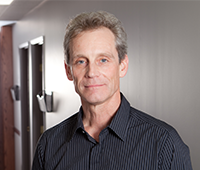 As the resident Sanders Medical practitioner of EVLT (endovenous laser ablation for large varicose veins), Bill has a diploma from the American Board of Venous and Lymphatic Medicine. Remember when there was so much buzz about spot training, the idea that you could lose weight in a specific area. For example: you do endless crunches to have better abs and that will help you lose stomach fat, but then the experts said no more than it will help you lose weight from the rest of your body. But now there is a safe, effective, permanent way to get rid of those love handles.